CARDIOVASCULAR #DISEASE AND #CHOLESTEROL Cholesterol is a thick, fatlike substance that is part of the cell membrane and also one of the building blocks of a variety of hormones — including estrogen and testosterone — and bile, which digests fat. High cholesterol levels, along with high blood pressure, family history, smoking, age and gender, are among the risk factors for cardiovascular disease. Though some cholesterol comes from food, your body makes the majority of what you need. The problems begin when we get too much dietary cholesterol or saturated fat, both of which come mainly from red meats and dairy products, such as butter and cheese. Cholesterol circulates in the bloodstream by attaching to proteins called lipoproteins. Lipoproteins vary in density and are typically categorized in two forms. Low-density lipoprotein, or LDL (“bad cholesterol”), accumulates along the walls of arteries, forming plaques that clog up the blood vessels. This puts tremendous stress on the heart, ultimately causing cardiovascular disease (CVD). Statin medications (aka HMG-CoA reductase inhibitors) work on lowering LDL levels. The other lipoprotein is high-density lipoprotein, or HDL (“good cholesterol”), which acts like “a mini-dump truck or scavenger collecting the oxidative LDL and removing it from artery walls and your body, thus reducing your risk for heart attack or stroke,” says Steven E. Nissen, M.D., medical director, Cleveland Clinic Cardiovascular Coordinating Center. To help prevent heart disease, your goal is an LDL below 100, but Nissen adds that if you’ve been diagnosed with CVD, you should keep your LDL even lower. Blood test results will include a “lipid profile” composed of several numbers. The first is your total cholesterol, which, according to Nissen, can be misleading unless you also look at the breakdown of HDL and LDL. Interestingly, the LDL level reported is not measured directly but is calculated from an equation using your total cholesterol, HDL and triglycerides. While there is no “normal” cholesterol level, there are desirable goals depending on your past and current #health status (e.g. family history, body mass index). 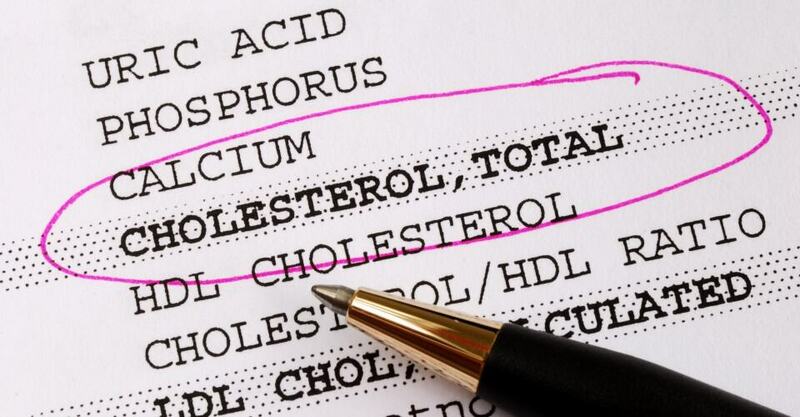 Keeping your cholesterol under these limits lowers your cardiovascular risk. “One of the key numbers that is within our control is LDL,” says Nissen. With #diet and proper exercise we can reduce LDL levels and have a higher likelihood of stopping the progression of CVD — meaning we stop or slow the accumulation of plaque. Unfortunately, it is very difficult to actually move up your HDL by making lifestyle changes; it’s hard to get rid of the plaque once it’s there. “Niacin in high-prescription doses raises HDL, but it also has side effects, including itching, headache and flushing,” says Nissen. Triglycerides are the chemical form in which most fat exists in food and the body. Along with cholesterol, triglycerides form plasma (blood) lipids. Excess triglycerides in the blood have been linked to coronary artery disease. However, Nissen suggests that triglycerides are not as powerful a risk factor as LDL and HDL levels. Another test that is not standard, but that Nissen strongly recommends, is for C-reactive protein (CRP) levels. CRP is a protein produced by the liver in response to inflammation, and elevated CRP has been shown to be an independent risk factor for heart disease and stroke. Cholesterol is measured as milligrams per deciliter of blood, abbreviated mg/dL. According to the American Diabetes Association, 18.2 million people in the United States — 6.3% of the population — have diabetes. Unfortunately, 5.2 million people don’t even know they have it. Diabetes is a very serious disease and a major risk factor for heart disease, stroke, high blood pressure, blindness, kidney disease, amputations and more. Adults with diabetes have heart disease death rates about two to four times higher than those without it. And once you have diabetes, you have it for life. 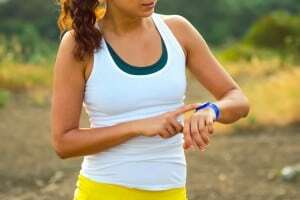 “If you work hard, you can control diabetes with diet and exercise, but it never goes away,” says Christopher D. Saudek, M.D., professor of endocrinology and metabolism at Johns Hopkins University School of Medicine in Baltimore. In type 2 diabetes, insulin, which is necessary for the body to process sugar (glucose), is too weak, or there’s not enough to do the job. And when glucose builds up in your blood instead of going into your cells, your cells become starved for energy and your body is stressed. This may affect your eyes, kidneys, nerves and/or heart. What’s the single biggest risk factor for getting type 2 diabetes? Being overweight or obese, says Saudek. The most common and reliable test to determine whether a person has diabetes is called a fasting plasma glucose (FPG) test, which measures your blood sugar after an overnight fast. If a standard or casual (not fasting) blood test indicates that you have a glucose level above 200, you should absolutely take a fasting blood test. Another common test, once an individual is actually diagnosed with diabetes, is hemoglobin A1c, which measures the average blood sugar level over three months. According to Saudek, an HbA1c over 7 percent would indicate poor blood sugar control. Although not all doctors agree, some advocate the use of HbA1c as a diagnostic tool. In this case, a level of 6 to 7 percent would be an indicator for diabetes.